Replacing inefficient and outdated toilets in your home is a great way to save water and money. Today’s toilets offer high power flushing while still maintaining a low amount of water per flush. BRS Services is experienced in repairing and installing toilets and many more Anchorage plumbing services. You may be experiencing some common toilet problems that can be solved by fixing the problem itself. However, sometimes it just makes sense to go ahead and replace the entire toilet. 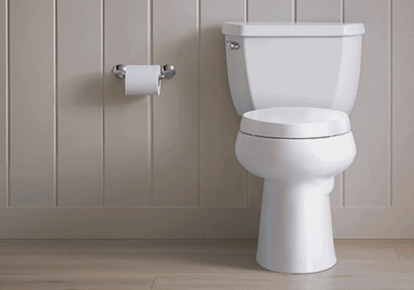 Common toilet problems include rocking, low flush power, constantly running water, valve problems, leaking, and so on. The question often becomes whether it makes sense to replace parts in a toilet or replace the whole toilet itself. We can help you decide which is best for your situation. If your toilet needs repairing, or if you need a new toilet installed, call Anchorage handyman BRS Services at 907-258-0471. One of our best plumbers in Anchorage will be happy to help you solve your toilet problems. We’ve helped many home owners and businesses in Anchorage and would appreciate the opportunity to serve you as well.